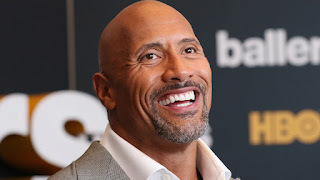 In a video recently shared on his Facebook page, the New England Patriots captain, 39, told Dwayne "The Rock" Johnson that he would be sending the action star some of his new Under Armour pajamas, but in doing so, he incorporated a silly impression harkening back to Johnson's WWE days. Johnson was none too pleased. Before watching the video, the Baywatch star Johnson cheerfully praised the four-time Super Bowl champion for being "excellence personified," but after viewing the clip, Johnson drastically changed his tune. "Sweet tap dancing baby Jesus! What in the f*** did we just watch?" he joked in a YouTube video responding to Brady's Facebook post. Johnson went on to criticize Brady's lackluster delivery and even the way he sat during the video, comparing the star quarterback to Kermit the Frog. In all seriousness, Johnson was, of course, grateful for the kind gesture and ended with some kind words. "Good luck in the playoffs," Johnson said. "Keep doing your thing. We're going to be rooting for you. And above all else, leave the acting to me." And while Johnson looks forward to donning the sleepwear, he admitted that he usually sleeps in the buff. "A little bit too much information. I get it," Johnson said. "But, you know, the 'penosaurus' has got to roam!"